What Role for the CFS? Representatives from global women’s movements and other civil society organizations will share experiences of women’s struggle for land and resources, and introduce into the General Recommendation on the Rights of Rural Women, adopted by CEDAW in March 2016. We are honored that HE Ambassador Amira Gornass, Chair of the CFS and Permanent Representative of the Republic of the Sudan, has confirmed her attendance to this important event. 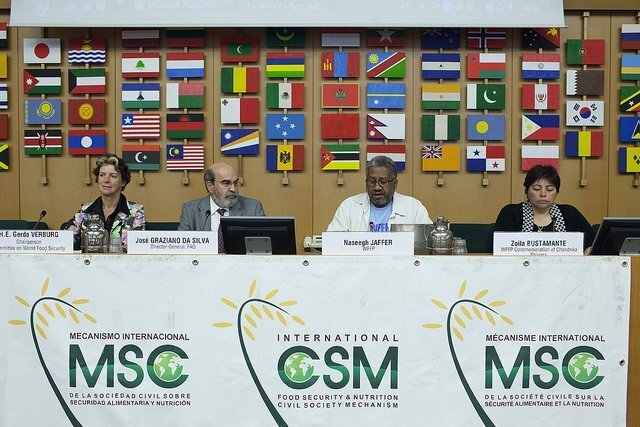 She will be joined for the Panel discussion by Kostas Stamoulis, FAO Assistant Director-General, Bettina Prato – IFAD, and delegates from CSM. Both meetings are open to all CFS Members and Participants. We would highly appreciate your presence. Interpretation will be provided in EN/ES/FR.